Furkids is the largest no-kill animal shelter in Georgia. They take in both cats and dogs and have two different locations dedicated to each animal. The shelter started in 2002 when the founder, Samantha Shelton, found and rescued a stray mother cat who had just had kittens. 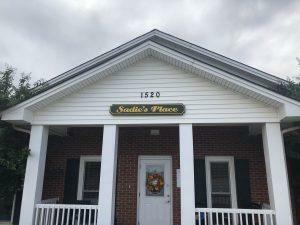 Since then, she has created an organization that specializes in rescuing homeless and abandoned pets from all over Georgia and nearby states to find as many happy homes for cat and dog fur-babies. Currently, Furkids has helped place over 30,000 dogs and cats into loving homes, and the number of animals they help is only growing. Furkids Dog Shelter The dog shelter is located at 1520 Union Hill Rd, Alpharetta, GA 30005. The facility has a maximum capacity of 65 dogs, but that is not the maximum number of dogs that Furkids has. They also foster dogs within their program, and one can become a foster parent by applying on Furkids’ website. The organization also works with PetSmart and Petco to help get more of their dogs and puppies into loving homes. Furkids holds adoption events at local Petsmart and Petco every Saturday. They also have other adoption opportunities on some Sundays. Come to one of Furkids Events! Come to one of Furkids Events!Furkids holds many different events. One very special type of event that Furkids does is they take puppies and dogs to various universities for animal-therapy sessions. 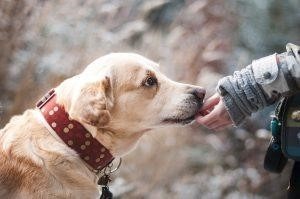 Even though the dogs they bring are not specifically therapy dogs, the presence of animals is soothing to many people. Each week Furkids has approximately five to six different events that they participate in. This dedication to spreading the love of animals showcases why Furkids is special to Georgia as they are adamant in their mission “to rescue homeless animals, provide them with the best medical care and nurturing environment while working to find them a forever home” (Furkids). Furkids also does another event every third Tuesday of the month. They go on FOX news in the morning and take a dog or cat to showcase. This allows them to spread the word of their wonderful organization, while also increasing the likelihood for the adoption of the featured dog. Overall, Furkids is a very community engaged organization and it is through their engagement that they are able to teach people about the love that animals bring and bridge the gap between animal and potential owner. 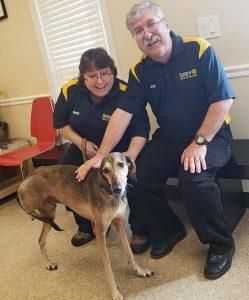 One of the many dogs Furkids helps find loving homesFurkids goes above and beyond to take in animals that would normally be turned away from other no-kill shelters. They will take in cats with Feline Leukemia, FIV positive cats, and dogs with known diseases, like heart-worm. The dog facility has a dedicated staff that looks after the medical needs of every dog, ensuring each animal has the care they require. Furkids believes that every animal deserves a chance for a happy, healthy, and loving life. Many animals that may not have had an opportunity to be adopted are able to live happily at the Furkids facility until they find their forever home. Laura Purcell, who is in charge of marketing and events, expressed how unique Furkids is especially in regards to the effort the organization goes through to take in and care for animals. She also mentioned hat Furkids has a designated recruiter that goes around to various other shelters in Georgia and brings in new dogs each week. Spero being adopted. Purcell also mentioned that Furkids has teamed up with a shelter in Qatar. Furkids took in Spero, a dog who was used in dog races but tossed aside when he broke one of his paws. Their partner shelter found Spero at a construction site, where he was severely malnourished and had resorted to eating rocks to sate his hunger. His broken paw was so damaged that when Furkids was able to fly him over to the States, he had to have his leg amputated and surgery for his stomach to remove the rocks he had eaten. Despite the odds, Spero made a full recovery and is now living with a loving family after being adopted from the Furkids dog shelter. Another aspect that makes Furkids special is their volunteer basis. Other shelters also have volunteers as a key part of the organization. However, Furkids allows children of all ages to volunteer. Some of the younger volunteers will create lemonade-stands in order to fundraise money or they will read to cats at the Cat Shelter. Children under the age of sixteen are allowed to volunteer at the cat shelter as long as they come with a parent or guardian. There is also the opportunity for people of all ages to read to cats at the shelter as well. Once a volunteer is sixteen, they can volunteer at the dog shelter. Another chance for young kids to volunteer with dogs is to be a dog-handler at the adoption events which occur on the weekends. Children ages twelve and up can help to walk the dogs and keep them company. For teenagers between the ages of sixteen to eighteen, they have the opportunity to volunteer at Furkids’s thrift store in Norcross. Volunteer at Furkids.org! Overall, Furkids is incredibly family and kid-friendly. They help provide volunteer opportunities for children of all ages which helps spread the word about adoption and exposes children to the love found in animals. Ms. Purcell expressed that “it is great getting involved with the community and educating kids about volunteering while they are young,” so that they realize the value of animals and shelters (Purcell). Last year Furkids was a part of Rescue Dog Olympics and they are coming back again this year to help spread the love of animals. Furkids believes that Rescue Dog Olympics is a great venue to help get more dogs adopted by loving families. Ms. Purcell said that her experience last year with Rescue Dog Olympics “was a lot of fun, there was a lot of people there, and it was good exposure for the dogs” (Purcell). 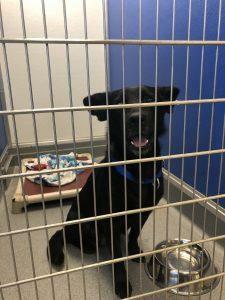 While Furkids does ask for potential dog owners to fill out an adoption form, it is possible that one could go home with a cute new family member at the end of the day. Furkids brought ten dogs to last year’s Rescue Dog Olympics and they are going to bring around the same amount of furbabies this coming year. Come out March 10, 2019, at Piedmont Park for a fun festival and to help support this wonderful event and spread the love for animals and adoption. Furkids will be there ready and happy to help people make a life-changing connection with one of their lovable animals. 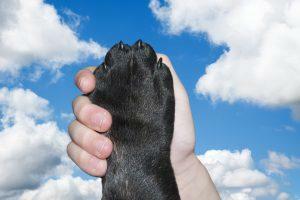 Furkids is always there for people and pets alike to bring happiness and joy into their lives. Become a part of the movement to find each furbaby their own loving home.